“We’ve used blanket linings forever, which Pendleton is known for, so this collaboration is such a no-brainer I couldn’t believe it wasn’t done long ago,” said Carl Chiara, director of concepts and special projects for the Levi’s brand in the Americas. Portland, Ore.-based Pendleton, which was founded in 1909, created an exclusive Native American-inspired jacquard print, in blue, gold and red hues, for Levi’s. The co-branded collection incorporates the print on wool linings or accents on two trucker jackets for men, two trucker jackets for women, a men’s work shirt, a women’s cape and a blanket. Retail prices for the collection range from $118 to $198. 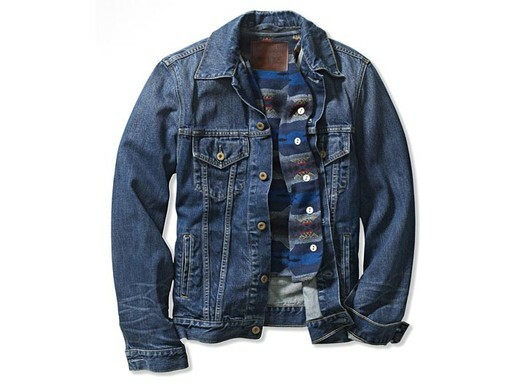 Items from the collection will be available in all Levi’s stores in the U.S. next month as well as on levi.com. Pendleton will stock pieces in five of its approximately 50 stores, as well on pendleton-usa.com.